Finding the crown of the contest by the sword. In the Passion of Saint Dasius there is a description of the Saturnalia festival celebrated by the pagan legionaries stationed in Durostorum (modern Silistra in Bulgaria). Each year, a young and handsome legionary was chosen by lot to be the "king" of the festival for one month, which gave him unusual privileges and licence. Thus arrayed and attended by a multitude of soldiers, he went about in public with full license to indulge his passions and to taste of every pleasure, however base and shameful. But if his reign was merry, it was short and ended tragically; for when the thirty days were up and the festival of Saturn (Gr. Kronos) had come, he was sacrificed before the altar of Saturn. 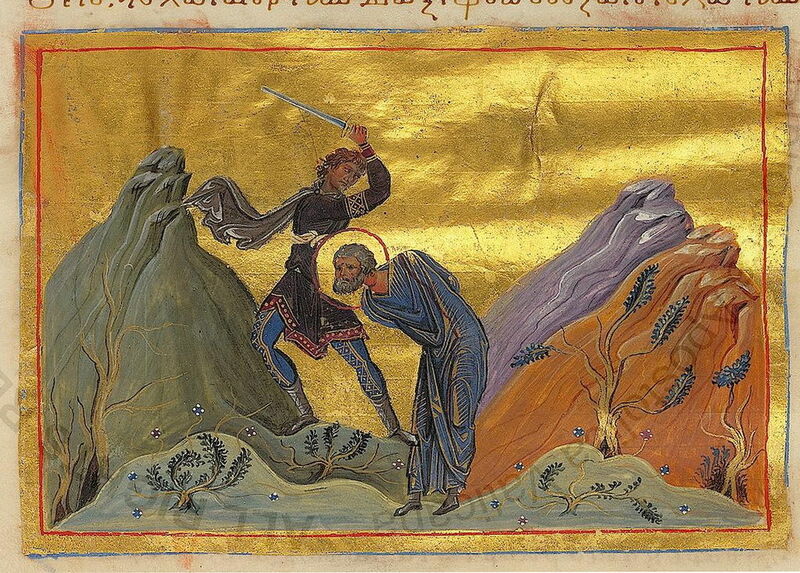 In the year in question, around 304, the lot fell on Dasius, a soldier of the Legio XI Claudiana, for whom, as a Christian, this was doubly condemning, as not only would he have to spend a month worshiping pagan idols and indulging in his passions, he would also then lose his life as a sacrifice to a pagan deity and damn his soul. Therefore, he preferred to refuse to accept the role of king and accept torture and execution instead, for he said to the soldiers that surrounded him: "Since I am fated to die, it is better that I die for Christ as a Christian." The threats and arguments of his commanding officer Bassus failed to shake his constancy, therefore he was brought before the emperors Diocletian and Maximian. 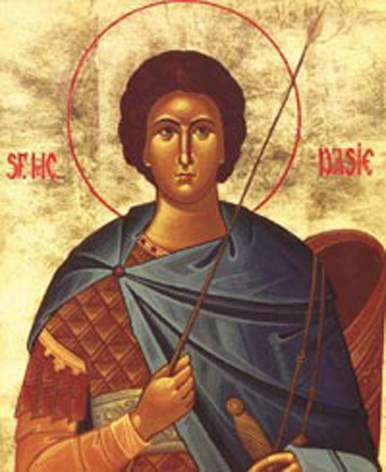 Standing before them, Dasius confessed his faith in Christ and boldly proclaimed words of piety. For this he was severely punished and delivered over to be beheaded. The execution took place by the soldier John on Friday the twentieth day of November, being the twenty-fourth day of the moon, at the fourth hour. In this way the Holy Martyr received the crown of martyrdom. After the Avar invasion of lower Moesia in the sixth century, Dasius's remains were transferred to Ancona in central Italy. They now rest in a marble sarcophagus kept in the Museo Diocesiano next to Ancona Cathedral. 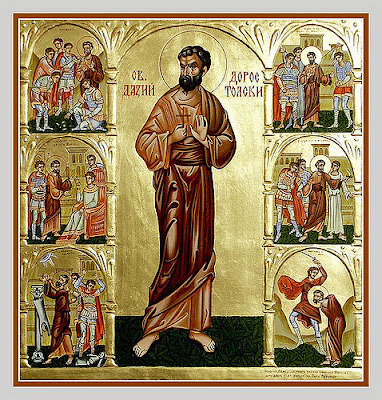 Veneration of the Saint was widespread during the fifth to seventh centuries. The oldest known icon of the Saint is in the Menologion of Basil II (late 10th or early 11th century), under the date of 20 November. On the occasion of his visit to Bulgaria in 2002, Pope John Paul II donated the right humerus of Dasius, taken from the Ancona relics, to the church of Silistra. The bone was presented in a small marble chest made to look similar to the Ancona sarcophagus.